IT major TCS reported the total revenue of Rs 34,261 crore, which is 6.8 per cent up sequentially and 15.8 per cent compared the corresponding quarter last year. The company's operating margin stood at 25 per cent. India's biggest IT company, TCS, reported the total revenue of Rs 34,261 crore, which is 6.8 per cent up sequentially and 15.8 per cent compared to the corresponding quarter last year. The company's profit before taxes and other income rose 5.3 per cent to Rs 8,578 crore sequentially, while 24.06 per cent compared to the corresponding month last year. The company's operating margin stood at 25 per cent. TCS said its board has declared an Interim Dividend of Rs 4 per equity share of Re 1 each of the company. "The Interim Dividend shall be paid to the equity shareholders of the company whose names appear on the register of members of the company or in the records of the depositories of the beneficial owners of the shares as on July 18," said the company. Commenting on the Q1 performance, TCS CEO Rajesh Gopinathan said the company is starting the new fiscal year on a strong note. "With a good set of wins during the quarter, a robust deal pipeline and accelerating digital demand, we are positioned well for the future," said Gopinathan. In Q4 of the previous fiscal, TCS reported a 4.48 per cent year-on-year (YoY) rise in consolidated net profit at Rs 6,904 crore for the March quarter. The country's biggest software services exporter reported a revenue growth of 8.2 per cent (YoY). Its FY18, Q4 revenue came at Rs 32,075 crore. 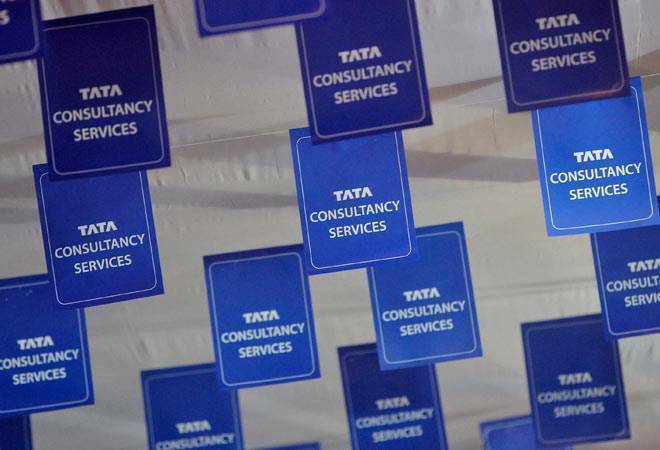 Meanwhile, the TCS share that was trading at Rs 1,897.50 at 9.40am on Tuesday closed .6 per cent lower at Rs 1,883 ahead of the quarterly result announcement later in the day. BFSI (Banking, Financial Services and Insurance) verticals growth accelerates 4.1 per cent YoY and 3.7 per cent QoQ. North America rebounds on BFSI and Retail recovery at 7 per cent YoY and 3.7 per cent QoQ. Digital revenue stands at 25 per cent, up 44.8 per cent Y-o-Y. Two new clients in $100million+ band, 13 clients added in $5million+ band sequentially. The company's total employees stood at 400,875 in 46 countries by the quarter end; and the IT services attrition rate at 10.9 per cent in the past one year.